Over a month has elapsed since former Adyar accountant Mr M Kannan made public his complaints about his suffering at the hands of Adyar Estate Manager, Mr S Harihara Raghavan. The International President and General Council were made aware of the allegations and were also aware that the details of the allegations were in the public domain. 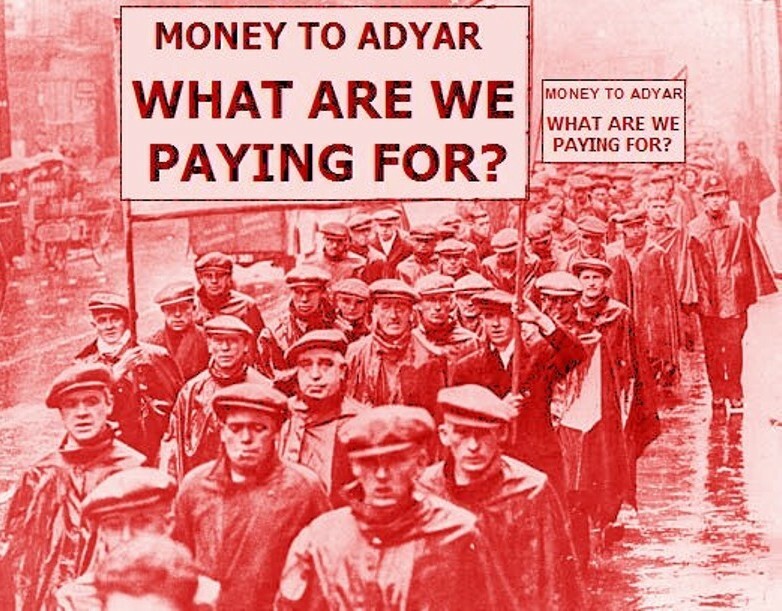 An independent enquiry into staff treatment and conditions at Adyar could at least have been initiated, and information gathered, on these and other related allegations. It is also important to establish why a campaign of victimisation should be initiated specifically against such a key administrative figure as an accountant. 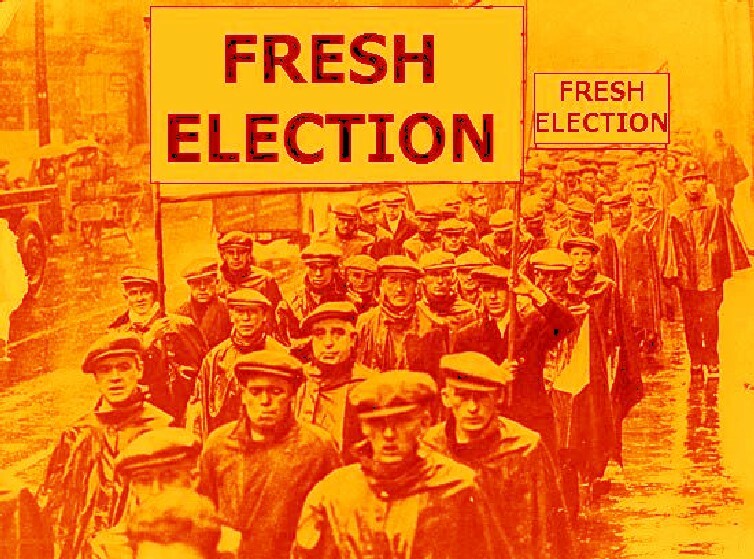 The lack of response indicates that neither the ineffective International President nor the frightened General Council have any intention of addressing this serious and damaging issue. 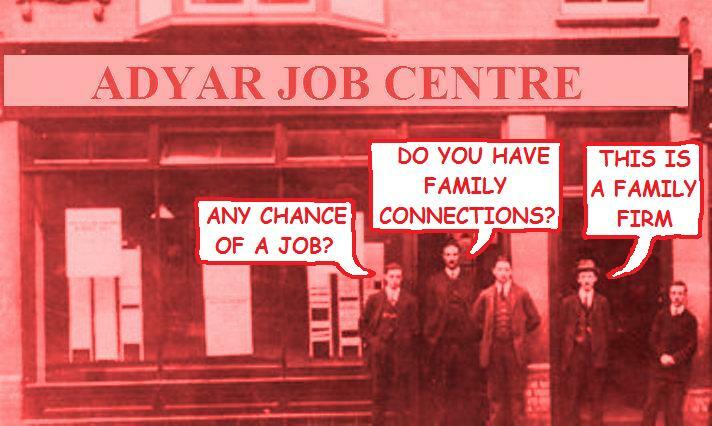 An appeal was made by Mr Kannan directly to current International President Tim Boyd, but little is now expected from Tim Boyd as he is hindered by his disputed election, and has found it easier to stay away from the difficulties at Adyar, and give out blasts of waffle on YouTube as a substitute for proper leadership. 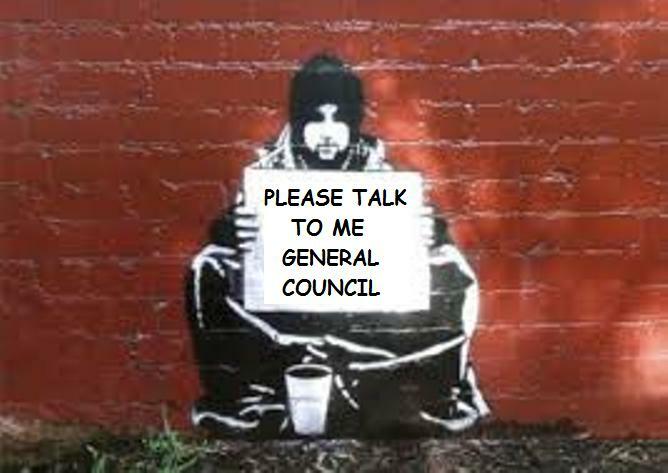 He will be appearing at Theosophical events around the world as the nice guy who does nothing. 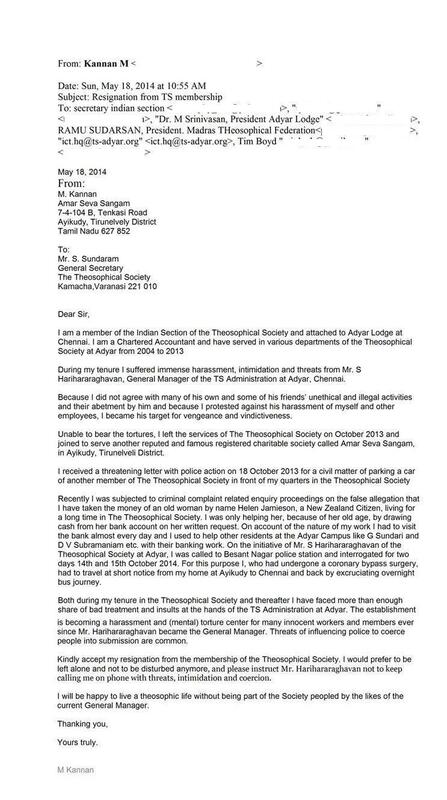 A letter outlining the situation was also made to Indian Section General Secretary Mr S Sundaram in which Mr Kannan resigned from the Theosophical Society, and appealed to Mr Sundaram to intervene to stop the continuing victimisation by Mr S Harihara Raghavan. 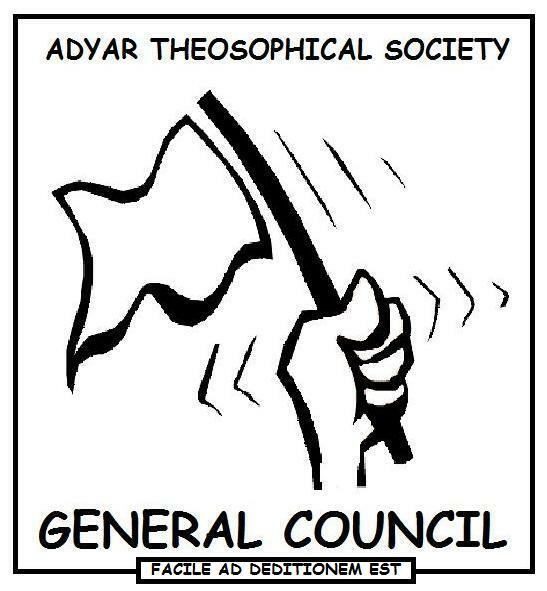 As governing body of the Adyar Theosophical Society, it should fall to the General Council to deal with issues that the president is unable to deal with, but it has become clear that the General Council are paralysed by fear of their Adyar masters and that they are too frightened to take action on any matter, and also too ashamed to admit to the members that they have lost control of the organisation. 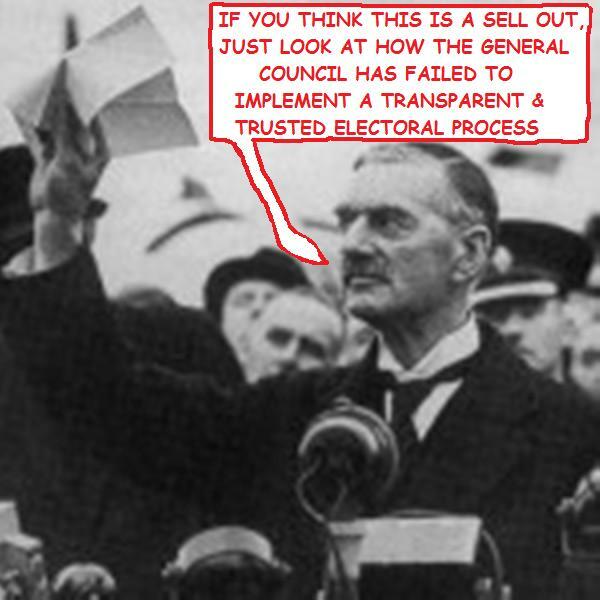 The International President, being drawn from the General Council is of the same mindset, and finds himself helpless. Here below is the May 19th 2014 posting on this subject outlining the allegations. 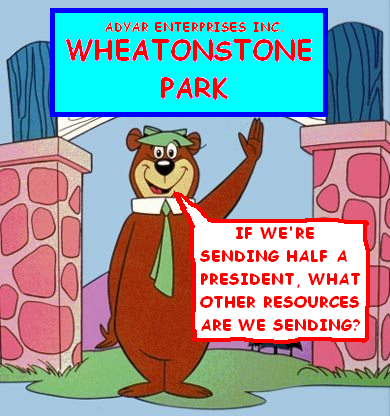 The email below reveals a picture of Adyar of which the general membership have been unaware but which should now be fully investigated by the new international president, and brought out into the open. The email was sent to Indian Section General Secretary, Mr Sundaram and marked for the attention of other senior officials. 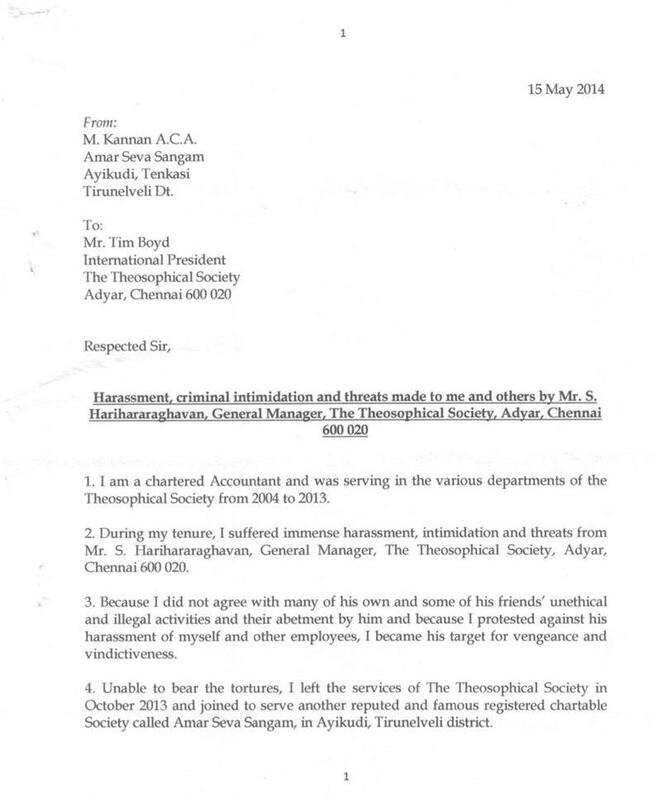 It outlines Mr Kannan’s reasons for resigning from the Theosophical Society. 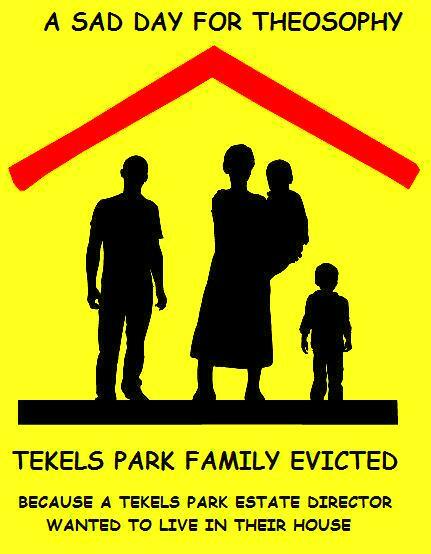 It appears that after being reported to police by Adyar Estate General Manager Mr S Harihara Raghavan, former accountant,Mr M Kannan was summoned to the Besant Nagar police station, and interrogated for two days from May 14th to 15th 2014. 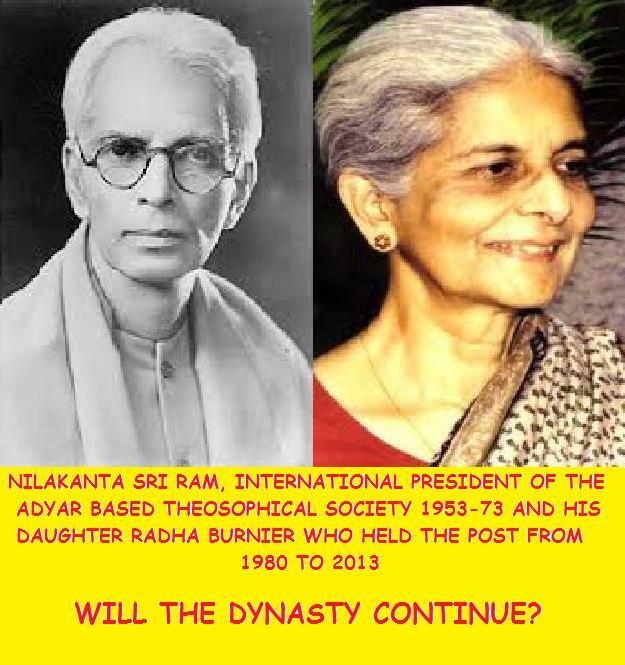 Mr M Kannan was in the employment of the Theosophical Society and resident on the Adyar Estate for many years up to October 2013. 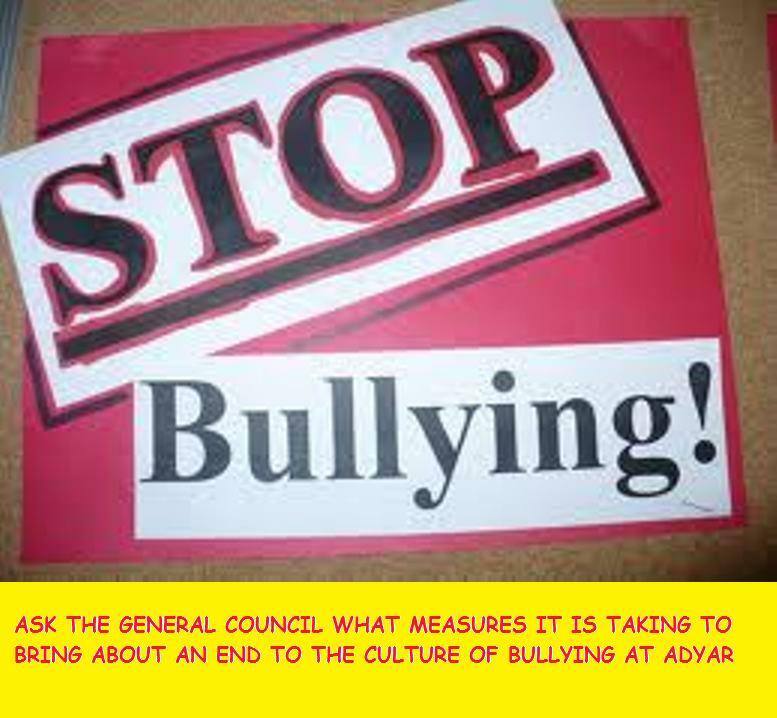 Mr Kannan claims, in his May 15th letter to Tim Boyd, that prior to his leaving the Theosophical Society, he had experienced a long period of victimisation by Mr S Harihara Raghavan and others, and that there is a culture of staff bullying by the Adyar Estate management. 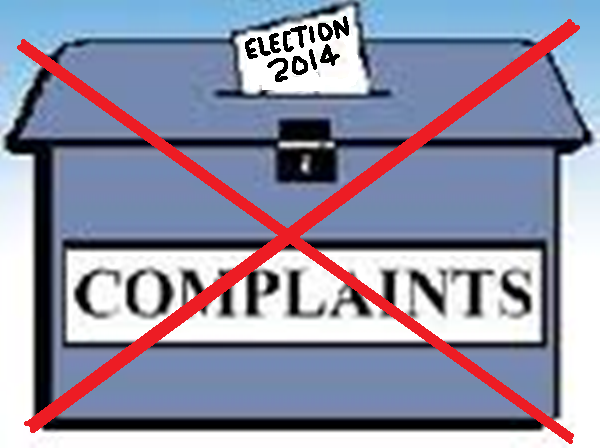 Other staff have also reported harassment. 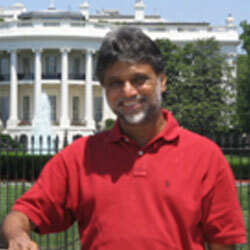 A copy of the Mr Kannan’s May 15th letter is included on this page. 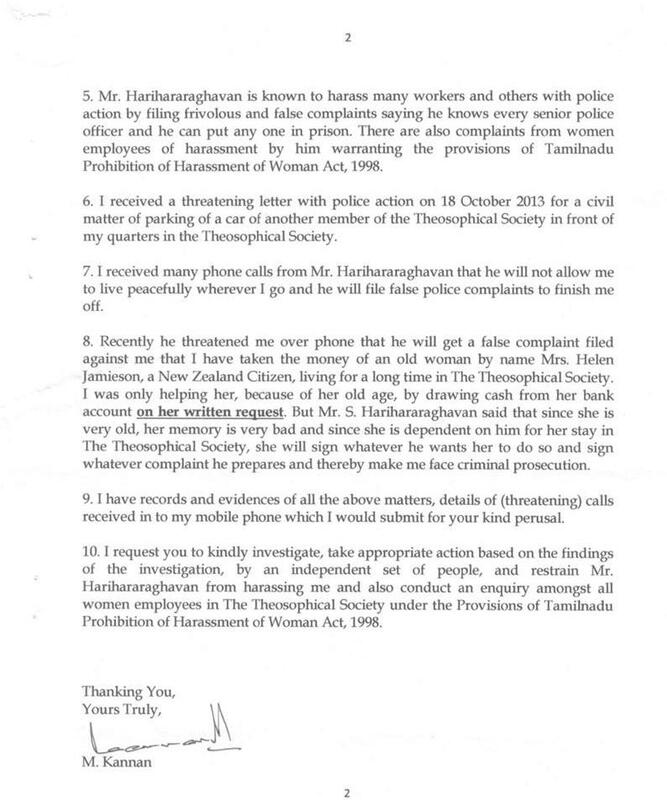 Mr Kannan also claims in his email that Mr Harihara Raghavan continues to harass him by phone with “threats, intimidation and coercion.” It is unclear why this should continue over six months after Mr Kannan has left Adyar employment and his residence on the Estate.